What Does a Chimney Sweep Service from Brickworks Provide? Brickworks - What Does a Chimney Sweep Service Provide? 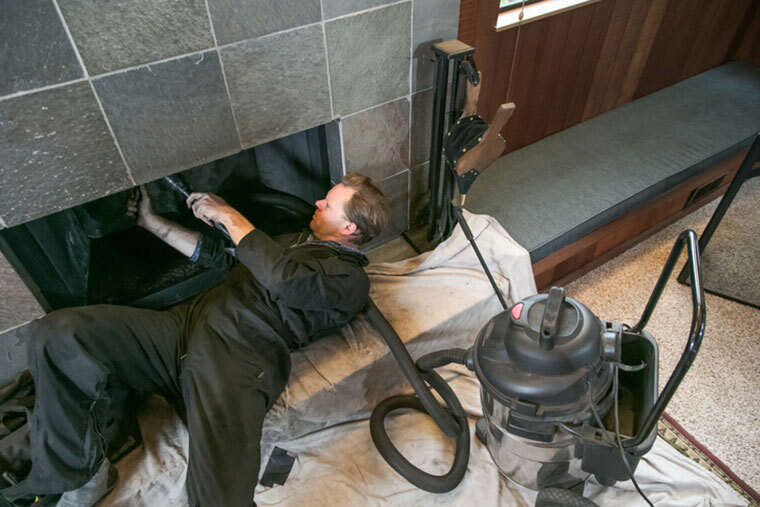 A good, professional, reliable chimney sweep service will clear your chimney of glazed creosote build-up and thereby ensure years of worry-free fireplace use. When creosote builds up in your chimney, the next fire you burn in your fireplace could ignite. While a chimney sweep service provides a clean and safer chimney, the real service that a chimney sweep provides is peace of mind. This is exactly what Brickworks Property Restoration strives to do for each and every client we work with. Why is a Chimney Sweep Important? Like any fire that occurs in your home, a chimney fire can be catastrophic. The fires you burn in your fireplace release gases and create soot that builds up on the interior walls of your chimney. The more you burn, the more likely it is that you can have a fire in your chimney. For a long time, the work of clearing chimneys of creosote build-up was not only thankless, but unreliable. There is still a lot of bad press about some chimney sweep services that swindle their customers without doing much cleaning of their chimneys. With Brickworks Property Restoration, however, you will work with a company that prioritizes excellent customer service and employs an amazing product that eliminates the build-up of creosote. This product is called Poultice Creosote Remover, or PCR. We apply the PCR, as a poultice, directly to the creosote build-up, which is absorbed by the PCR. A day or two after application, we will then clear your chimney and flue of all creosote build-up. Brickworks Property Restoration can provide you with regular chimney sweep services to ensure that it remains in good condition. We recommend a thorough cleaning approximately every four years, and we can recommend a number of practices for the most efficient burning of wood, which will prolong the life of your chimney and minimize the risk of a chimney fire. If you notice that you have a larger amount of soot in your fireplace, it could be an indication of build-up in your chimney. This makes your selection of a chimney sweep all the more important. Not all chimney sweep services are created equally. If you would like more information on our chimney sweep services or would like to schedule a time for us to provide one or more services, call Brickworks Property Restoration at (586) 868-3234 and we will be happy to help you.